The entire team at the Mercure Les Arcs 1800 hotel is delighted to welcome you to the heart of the Tarentaise Valley. Enjoy the second-largest connected ski area in the world with its 264 mi of pistes. In summer, meet the marmots in Vanoise National Park. 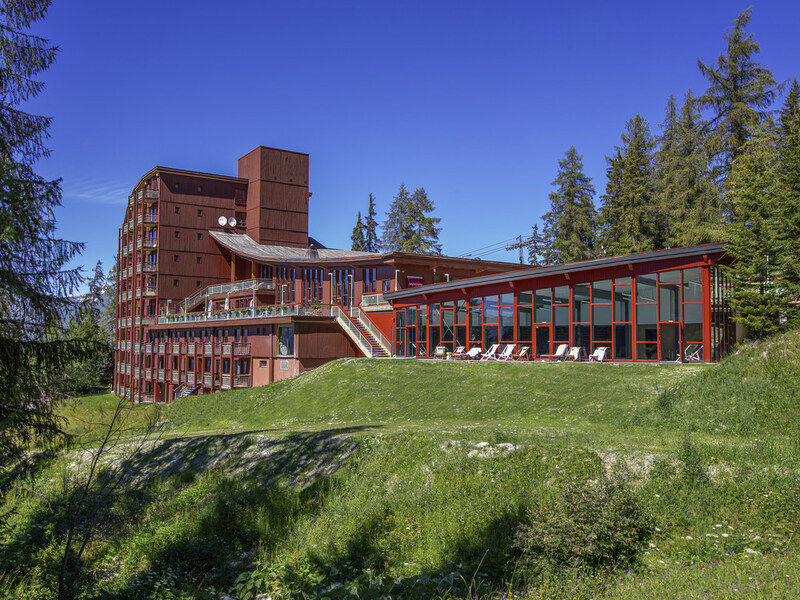 This Mercure hotel located in the heart of Olympic Savoie is a location of choice for combining sports activities, well-being and relaxation. At the foot of the ski runs, skiers will be able to enjoy more than 400 km of runs in the Paradiski domain. 81 rooms including 12 chalet-style suites. All rooms offer a balcony with a panoramic view over the valley or the resort. These spacious family rooms measuring 366 sq. ft. (34 m²) can accommodate 2 adults and 2 children or 4 adults. Rooms feature bunk beds separated from the main bedroom via sliding doors. Bathroom with bathtub, tea and coffee making facilities, bottle of water, WIFI and flat-screen TV. Choose comfort and stay in one of our suites. The bar is the perfect place to relax with its beautiful central fireplace and welcoming atmosphere. There is an exceptional panoramic view from its solarium, and you can enjoy live music with your pre-dinner drinks and throughout the evening.